Your boat is probably one of your most treasured and valuable possessions. Unfortunately, a boat can also be vulnerable – to accidents, storms, theft as well as liability towards others. 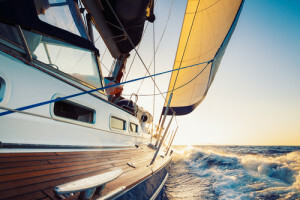 Accidents happen to even the most careful boat owners, and that is why proper insurance coverage is essential. KQIC’s Boat Insurance Policy provides protection specifically designed for the unique needs of today’s boat owner. In addition to giving you peace of mind, boat insurance coverage provides protection for you, your passengers and your boat. If your pleasure craft has a value up to US$ 10 million and is less than 5 years old, we can provide you with attractive terms after the completion of a simple proposal form to capture the details of the boat, where it will be sailing and your experience as a sailor. The coverage can be arranged on an ‘agreed value’ basis to protect your interest in the boat without having to worry about depreciation, especially in the event of a total loss. Your boat is designed to give you years of enjoyment; insure your fun and lifestyle by choosing the right protection!